The place where scientist believe all humans came from is now inhabited by Middle Eastern and North African descends, Somalia. Somalia is a country in the horn of Africa but what makes their culture different from the American culture or any other is that it’s made up of homogenous people with the same religion, language, ethnicity, and culture. Despite the fact a Roman Catholic cathedral being located in the Somalia capitol Mogadishu, Somalia is a completely Muslim country that follows the teaching of Islam. Islam came to Somalia at a time when Prophet Muhammad’s companions sought refuge across the Red Sea in the Horn of Africa to escape the prosecution they faced for being Muslim. It is believed that Somalis adopted and accepted the teachings of Islam way before any other Muslim or Arab country did. Islam had been part of the Somali society for more than 1400 years. Majority of the Somali people are Sunni Muslims except for the few who are Sufis. 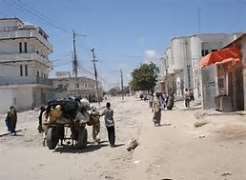 Somalia being a Muslim country and following the teachings of Islam the Sharia Law is used on daily basis,(“Quora”) “Islamic sharia or Islamic law is the religious legal system governing the members of the Islamic faith. It is derived from the religious precepts of Islam, particularly the Quran and the Hadith. The term sharia comes from the Arabic language term sharÄ«Ê¿ah, which means a body of moral and religious law derived from religious prophecy, as opposed to human legislation.” Many Somali scholars have remarkably defined the route of Muslim learning and practices throughout the Horn of Africa, the Arabian Peninsula, and furthermore, producing numerous important Islamic figures over the centuries. Uthman bin Ali Zayla’I of Zeila whom is Somali being amongst them. (“Ethnomed”) “Almost all Somalis are Sunni. The religion has a much more comprehensive role in life than is typical in the Americas or Europe. Islam is a belief system, a culture, a structure for government, and a way of life. Thus in Somalia, attitudes, social customs, and gender roles are primarily based on Islamic tradition. For example, the Islamic calendar is based on the lunar month and begins numbering from the year Mohammed arrived in Medina; both this and the Julian calendar are officially recognized and used.” In Somalia religion whole big part of the country. 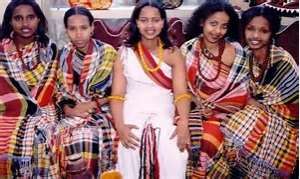 The Somali ethnicity come from Hamitic people but have Cushitic culture. They are divided into two main clan the Samaal, which includes the Darod, Isaaq, Hawiye, and Dir clan groups the Saab, which includes the Rahanweyn and Digil clans and other smaller clan groups that’s not popular. The (“Samaal”) “A Samaal clan kept count of the generations between living members of the group and the ancestor for whom it was named; the greater the number of generations (which often implied substantial internal segmentation into sub clans or lineages) the greater the clan’s prestige.” The sab is the Swedish and they live in the west of Somalia. You don’t see them much in t north of Somalia. The Saab language is way different them the Samaal. They usually speak the old language and they are not much of them in the city. The Somalia culture is way different then the American culture and any other because the Somalia culture is influenced by the religion, Islam. The religion has big influenced in clothing and food. When it comes to the clothing, most Somali dress in adherence to Islamic principles. The Men wears clothe that must cover from neck to knee, and women must be covered from neck to ankle in non-form-fitting clothing. Married women may additionally wear a head scarf /or a shawl (Culture of Somalia). Most Somali speak the Somali language and Arabic because of the influence of Islam, The Quran is writing in Arabic that’s why they must learn how to read and write Arabic. In the American culture the man would ask the father of his girlfriend for her hand in marriage. If the father approves and says yes, then man will propose to his girlfriend. “Feature: March/April 2017.” Feature: March/April 2017 – EthnoMed. N.p., n.d. Web. 09 Mar. 2017. “Somalia – Ethnic Groups.” Encyclopedia of the Nations. N.p., n.d. Web. 09 Mar. 2017. “Somalia – Samaal.” Somalia – Samaal. N.p., n.d. Web. 09 Mar. 2017. “Somalia.” Countries and Their Cultures. N.p., n.d. Web. 09 Mar. 2017. “Somalia History, Language and Culture.” World Travel Guide. N.p., n.d. Web. 09 Mar. 2017. "Summary of the Somali Language." UKEssays.com. 11 2018. All Answers Ltd. 04 2019 <https://www.ukessays.com/essays/languages/summary-somali-language-6020.php?vref=1>. "Summary of the Somali Language." All Answers Ltd. ukessays.com, November 2018. Web. 19 April 2019. <https://www.ukessays.com/essays/languages/summary-somali-language-6020.php?vref=1>. UKEssays. November 2018. Summary of the Somali Language. [online]. Available from: https://www.ukessays.com/essays/languages/summary-somali-language-6020.php?vref=1 [Accessed 19 April 2019]. UKEssays. Summary of the Somali Language [Internet]. November 2018. [Accessed 19 April 2019]; Available from: https://www.ukessays.com/essays/languages/summary-somali-language-6020.php?vref=1.